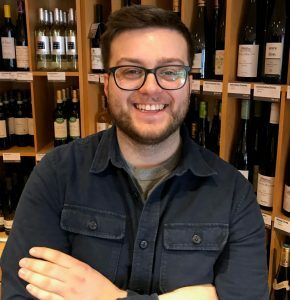 Bernard Ott is a fourth generation winegrower in the region of Wagram in lower Austria. His family has been cultivating vines and making wine since 1889. When he took over from his father in 1995, he began to improve the family estate by converting biodynamics and making positive changes in the cellar as well. Ott is considered a icon in the world of Austrian wines and is a major figure in the world of biodynamic winemaking. His 28 hectares of vineyards are composed of array of soil types and are planted to 90% Gruner Veltliner and 10% Riesling. 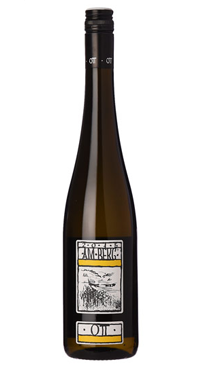 Am Berg is made from Gruner Veltliner sourced from younger estate vines and purchased grapes. It opens with a bouquet of white stone fruits that carry onto the palate along with bright lemony flavours. The palate is round and and densely textured. It has a great spiciness and salinity in the crisp finish. Unsure about what wine to pair with that tricky dish? Look no further, Gruner Veltliner is almost always the answer. Introducing bio dynamic practices in 2004, Bernhard Ott’s offering has everything there is to love about Gruner; white peach and nectarine on the nose accompanied by lemon citrus on the palate, finished off by a hint of white pepper and firm salinity. Coconut kaffir lime curry? Yep. Cod with tarragon and warm vegetables? Sure. Kale caesar salad? You bet. Drink young!